Dreamy Bows is proud to be the official UK retailer for 6%DOKIDOKI, Japan’s most famous 'kawaii' Harajuku brand. Their brand concept is to provide fun and unique clothing covered in crazy colours and eye-popping designs. 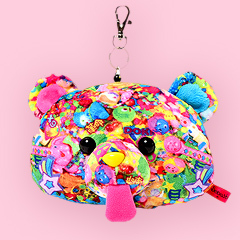 Founded by Sebastian Masuda, 6%DOKIDOKI has been spreading Kawaii fashion around since 1995!